In March 2013, the world's fastest Camaro crashed at speeds approaching 220 MPH at the Texas Mile. The car was totally obliterated, the driver was relatively ok. This is the first video of that crash. The video comes to us courtesy of friend of Jalopnik Alex Conley. The 2,800 horsepower Camaro lost control at the end of the run and went barrel rolling through the grass. 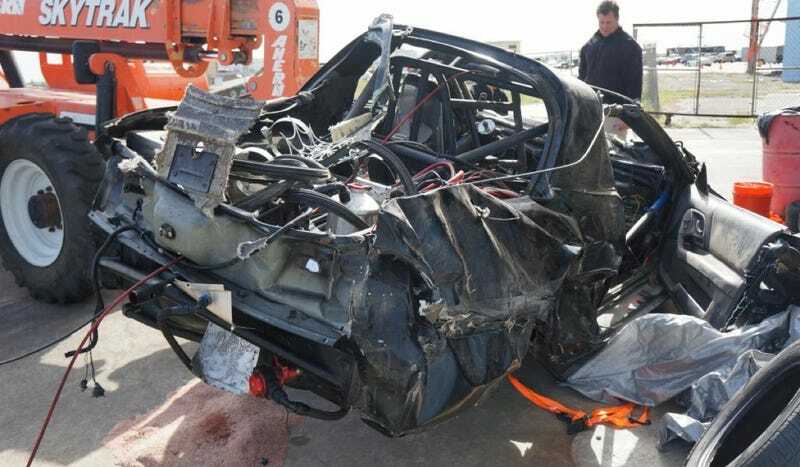 It's amazing that driver Joey Huneycutt was just banged up and not killed from the violent crash.